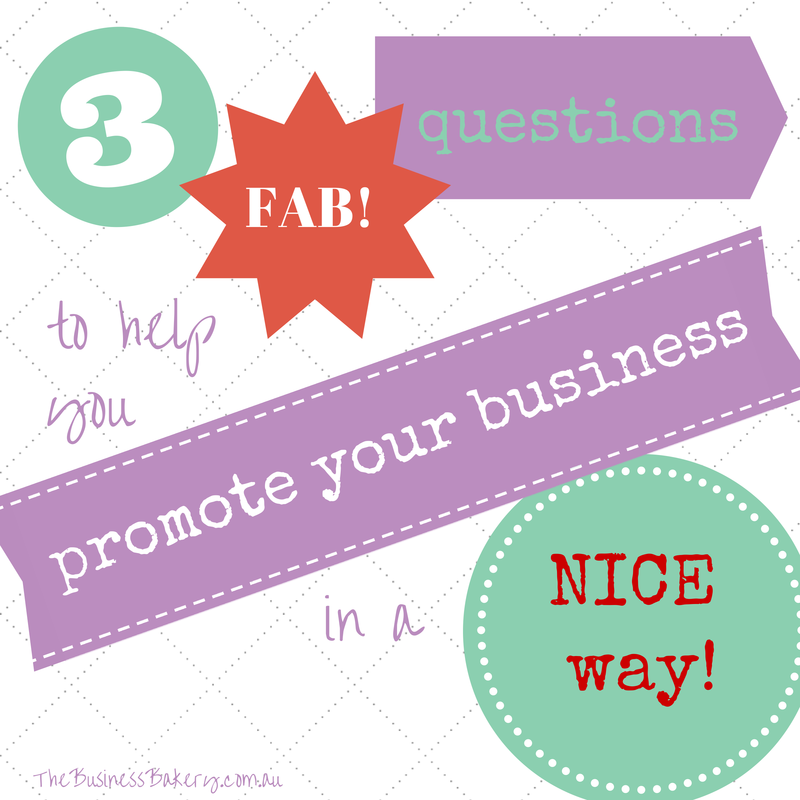 Three fab questions to help you promote your business in a NICE way! Do you feel a bit awkward promoting your business at networking type events? Or find it tricky reaching out in a businessy way to your circle of friends and acquaintances? Or kinda just not know how to move a coffee catch up thing into something useful for your business? YES? Oh goodness, me too! It’s hard not to sound sleazy, yes? Well here’s something you can do that feels super-comfortable, is nice and always works. Hurrah! 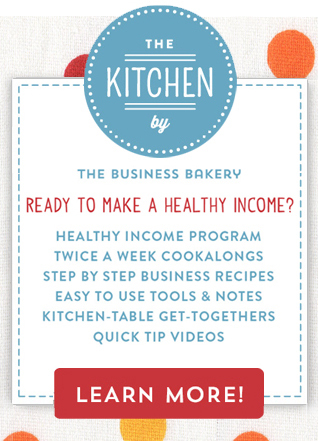 It’s a tip I picked up from my dear friend Emma Isaacs, CEO of Business Chicks. She asked me these three questions when I first met her ages ago and I thought they were so good I wrote them down! Seven or so years later and I’m still using them! You might want to TOO! 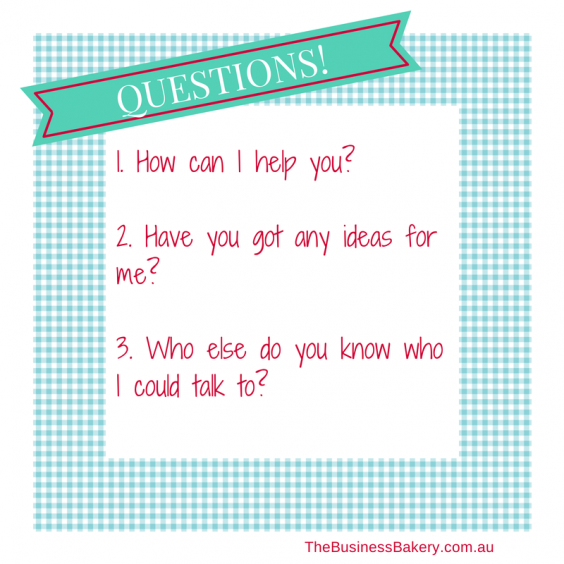 You can use these questions ANY time when you’re having some kinda businessy chat. And because you start off by asking how you can help the person you’re chatting too, it’s really easy to do! 2. Have you got any ideas for me? 3. Who else do you know who I could talk to? Of course, once you’ve asked the first question most people (but not all!) will ask how they can help you! So that’s a good time to raise something specific if you have it. Otherwise ask the question about ideas (you never know, they might have some good ones!) and then finally ask them if they know anyone else you could talk to. It’s just a super-nice way to turn a chat into a li’l bit of businessy action. And it kinda gets people wanting to help you. True! Here are those questions again in an image in case you want to pop ’em on Pinterest so you can remember them!